Today marks Day 30 after my subcision and TCA Cross Method treatments. I was really inspired by the photos that Tamara Madden and another Acne.org subscriber had posted on the web and wanted to see if subcision would work for me. Here is a very brief overview of my journey with acne scar revision. I first developed cystic acne when I was in the eighth grade. By my senior year, I had several cysts on my right cheek which collapsed and left a rather large crater. My cystic acne really flared up in college and it was then that I went to a dermatologist for the first time and was placed on antibiotics. My acne stayed under control with antibiotics and topical creams (Retin-A and Benzol Peroxide) for several years. However, I kept getting cysts and decided to go on Acctuane. My skin EXPLODED with cystic acne lesions all over my face which left me with considerable scarring that I had not had before taking Accuntane. The good news, however, is that I never had another cystic lesion on my face after taking Accutane. Over the years, I've tried Glycolic and Lactic Acid Peels, Cryotheraphy, etc. to help diminish my scars. 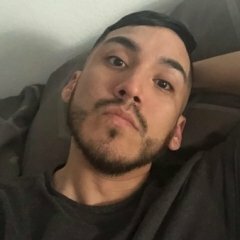 After reading about subcision on this website, I decided to talk to my dermatologist about it. He agreed to do the procedure on me along with the TCA Cross Method on March 16, 2009. Quite honestly, I am really glad that I had the procedure done. I took a week off of work and had some bruising and swelling, but no complications whatsoever. I decided to take tons of pictures to help document the process and help others learn more about it. Some flattening of the rolling scars, but will need more subcision treatments. Dramatic improvement over the baseline photo. Many of the "creases" and fine lines have disappeared in this photo. 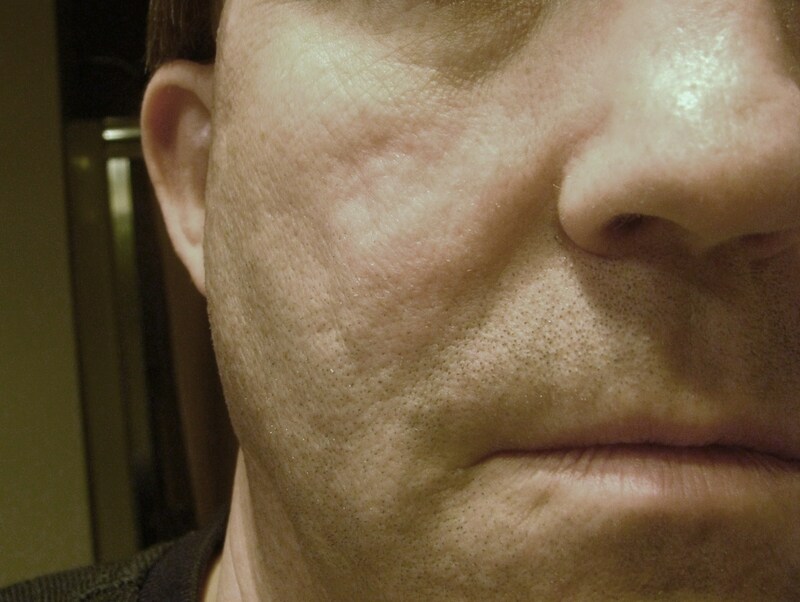 This photo kind of scares me......Acne scarring combined with aging is not a pretty site. The lighting is not quite the same, but the overall appearance of my scars has diminished. The reflection of the "man in the mirror" has definitely changed for the better and for that I am truly grateful. I recently went to get my haircut by a friend in a city nearby whom I had not seen in six years and had always "cringed" when I saw myself in the mirror due to the harsh lighting in there. This time, I kept looking at myself and saying, "Is that really me?" The man in the mirror that I was now seeing wasn't the same one I had seen in the past. The man I was seeing had smoother and healthier looking skin. As I mentioned above, I plan going for at least two more rounds of subcision followed by Pearl Laser in December of this year. I am not aiming for perfection as I know that is not truly attainable. As my photos show, I have seen incremental improvement and I will take any improvement that I can possibly get. I want to encourage ALL of you out there who have suffered from acne scars to do your research online, ask lots of questions, and find a competent and compassionate doctor who can help you. I have just ordered an LED light and hope to have it before my next round of subcision in May. P.S. I have a blog on this website that will give you a good idea of what to expect if you decide that subcision is the right treatment for you. That's awesome improvement, Matt! I'm really happy for you. And thanks for sharing your results with everyone! i'm really happy for you and you have prompted me to keep looking for a doctor willing to preform subcision! Thank You! congrats!!! your skin looks great and gives me (and others im sure) so much hop. thanks for posting. Wow Matt, your improvement is like night and day, especially on your left cheek. That looks amazing! Man, if I were you I wouldn't even bother with a third session, let alone a second. Your face has responded well to the treatment. Unfortunately, mine has not. It will be two weeks since my session and I see little, if any, improvement with my left cheek (my worst) and about a 20% improvement in one scar on my right. Anyway, I'm sure enough time has gone by to where you will only start seeing improvement from this point on. I am happy for you! Best of luck with your recovery and I know one day you will see AT LEAST 80-90% improvement in those rolling scars. This was a really great story, and I enjoyed reading it. I'm all too familiar with the cringing. This is great success, and will provide hope to others searching for the right treatment. I personally think the left cheek had the best improvement. Thanks for your encouraging note. By week two, my scars began to resurface. However, by week three, I noticed a reduction in their size and my left cheek has definitely improved big time since that point in time. I think that you're almost at the two week mark. So, I think you may begin to see more improvement. As I've mentioned before, take LOTS of pictures as the progress is incremental and it is amazing how soon we can forget what we looked like (even a week ago). Every time I would take another picture of my face, one of my kids or my wife would say, "Are you taking ANOTHER picture?" The photos have proven to me how far I have come in just 30 days. However, my journey is not over. The scars on my right cheek are still quite deep, but they have flattened out since my subcision treatment. They will definitely require several more subcision treatments, perhaps some dermal filler, and followed by a Pearl Laser treatment. Even one of the scarred pores on my nose responsed to the TCA Cross Method. I thought it was an enlarged pore, but it was actually an icepick scar. Keep taking your Vitamin C, Zinc, wear sunscreen, don't smoke, and I think that you will see continued improvement. your results are outstanding!!! some of the best I have ever seen in my life. this is an amazing accomplishment and you should be very proud of yourself..I am thrilled for you!! you took the right steps, you never quit, you kept a positive attitude and your results are living proof of it. glad to hear you purchased an led..its going to only help you get the most out of your treatments. This thread will most definitely give hope to the hopeless. and you cant give a better gift to anybody then hope in times when hope may be hard to find. Keep up the incredible job man. And its a true pleasure following your journey. Truly amazing! You look fabulous! Thank-you for posting your pics. It must feel like a tons of weights have been lifted off your shoulders to have your skin look so pristine. I hope I can share that feeling some day! I looked at your pictures and the two links you posted. I am 23 years old and younger than you are... I still have some active acne...but it is greatly diminished and within in the next month or two I think I will be acne free. Okay, so my left cheek is very good quality somehow the cystic acne I had over the years and bouts with accutane a few years ago didn't really scar my left side bad at all. It is overall very smooth and has a little bit of redness and slight very slight imperfections. The right side of my face on the other hand. 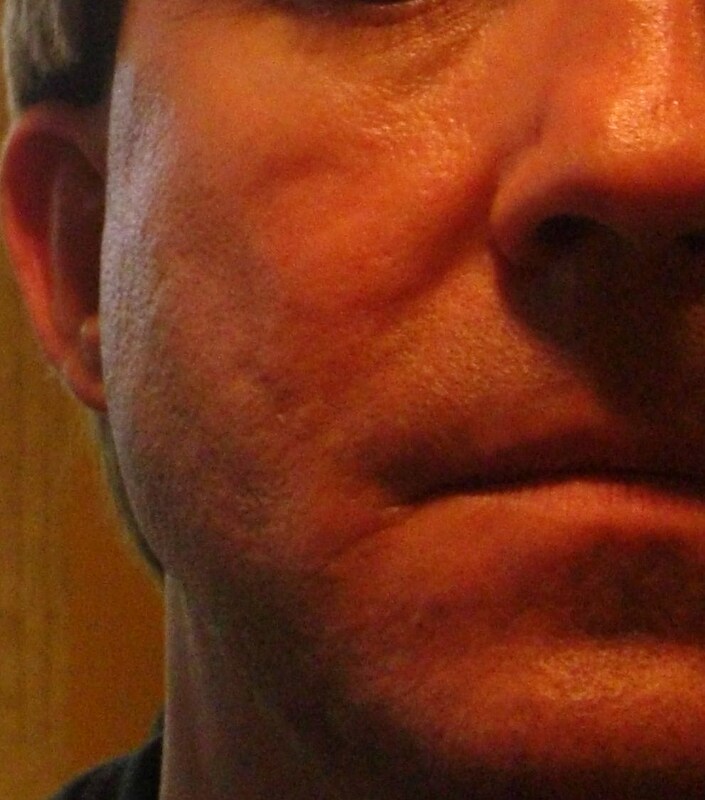 I have a scar, one main scar on the right side of my face that is similar to the geocities link you showed me. It is a deeper one and is bout a cm in length, then I have another one that is a little less deep and is smaller, then I have 3 or 4 jagged scars that are like icepicks I would guess...or smaller depressed ones...but with a little bit of depth. I found a dermatologist. 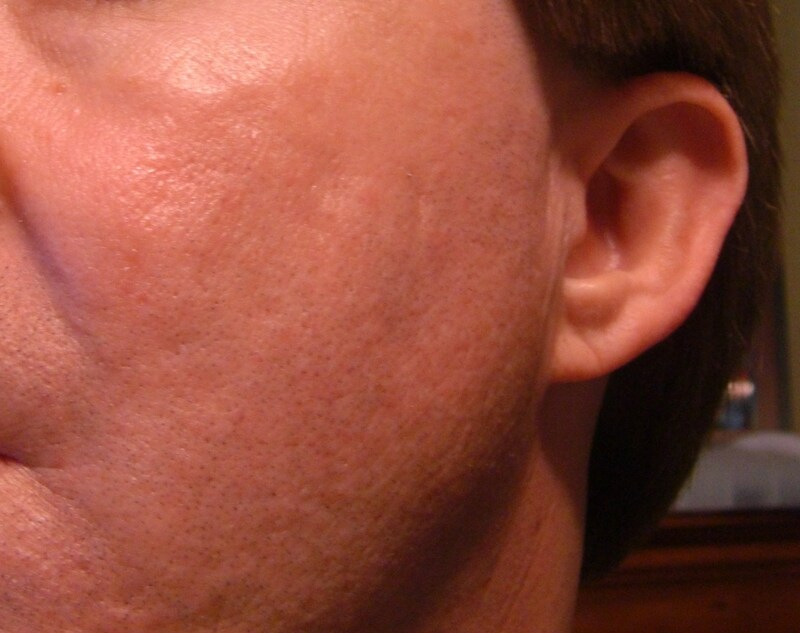 I haven't had the consult with him yet...but he specializes in acne scar treatments and does various treatments for it. that is the website if you want to take a look. I plan to get a consult within the next few weeks sometime. The right side of my face really upsets me with the scarring I have. Things I am currently worried about are...that I need to make sure my active acne doesn't come back after any type of surgeries...and then I need to also make sure on the right side of my face I had a few cysts a few months ago and it left some red marks and a little bit of scarring but I was wondering if that would effect it. It seems like the combo of subcision with TCA cross is the best option... Because my right side has those scars I listed...but also has some smaller imperfections...and the TCA cross should help with that it seems. How much did you spend on the subcisions...how satisifed are you with the results...? How long before you can return to work for those of us who work. The first link you posted is very inspirational...for someone who had severe scarring and looks so much better now. It's not pleasant to feel you have to look in the mirror all the time and be upset and feel like it takes away from your facial characteristics and to maybe shy away from people sometimes or shy away from pictures. I hate that feeling. Thanks for the post Matt and thanks in advance for answeriny my questions. I would definitely wait until your acne is no longer active. I went on Accutane and it totally eradicated my cystic acne, but as I mentioned, left me with a lot of acne scarring since I couldn't take any antibiotics while I was taking the Accutane. As far as the results are concerned, yes, I am satisfied with the results. Based upon all of the things I've read on this site by acne scar sufferers, I knew that I shouldn't expect perfection. My left cheek has responded really well and I keep looking in the mirror thinking, "Is that really me?" I am hoping that the next round of subcision helps even more. I have three boxcar scars that were not treated and I am going to see if my MD will do TCA Cross or even try to subcise them. The scars on my right cheek have flattened out somewhat, but I haven't seen the kind of improvement like I've seen with my left cheek. But, I will say that I am very glad to have the improvement that I have seen. My doctor only charged $200 and that is because I have been a patient of his for many years and my entire family sees him for various skin-related ailments. As far as the "permanency" of the results, the medical literature that I have read says that the improvement is suppose to be "permanent". I plan on getting yearly Pearl Laser treatments to help my skin continue to produce collagen as aging skin loses collagen every year. I'm really glad that you've taken the pro-active step to seek professional medical care. I am so glad that I did. If I were you, I would have the procedure done on a Friday and take off the following Monday and Tuesday. You might want to wear some type of concealer to cover the spots where you might have the TCA applicator applied. Mine turned red and only lasted for about four days before they peeled and faded away. Let us all know how things progress with your treatment(s). The scars actually looked like wrinkles, :/. At least now it looks really good! ! Great results, Matt Looking great! I'm going to go for subcision soon, after pearl fractional. Let me know how your Pearl Fractional goes. That is exactly the same treatment I'm undergoing in December of this year. My doctor, whom I trust, said it is much stronger than other lasers he's used and he feels that it will help minimize acne scars. I would encourage you to take "before and after" photos as the improvement is incremental and the photos will truly show your improvement over the course of time. First off. What is the best way to determine the best doctor for the procedure? The doctor I linked you to seems very professional in the field as he offers many solutions for acne scarring and I called them up and spoke to them and he sounds legit. I have a consult next week... just to talk to him and plan out my options. Then I want to go ahead and do the surgery in 1-3 months time range when acne is completely clear. How did it work with doing subcision and TCA cross the same day? What percentage was the TCA cross? How many subcisions did you have done total? Because it seems to me that if they do subcision that they are going into your skin ...so how can they do a TCA cross that burns your skin the same day? Idk how it all works so I wanted to ask you...it seems like a good combo...just didn't know they could do it the same day. I am just so worried about post surgery and worried about risks of surgery. It makes me nervous...but I really want to do something about my right cheek's scarring as it makes me very unhappy at times. I will definitely try and take off a few days to a week from work. A week seems reasonable. 1. Choosing a doctor for the procedure. If you have not been to this doctor before, I would ask how many times he has performed the procedure. Second, what type of results has he had with his patients? Does he have before and after photos? I knew my surgeon because he had been my dermatologist for several years and very much in demand in the area that I live. Ask this doctor for recommendations from other patients. 2. My doctor did the TCA Cross Method right before he did the subcision. I remember him doing a scar on my nose and several on my chin. Afterwards, he did the subcision on about 12-14 different scars (my best guess on the number). 3. I bought EMU oil and applied it to my face the day after the procedure and it seemed to keep the swelling down. I thought I was going to look black/blue the next day. Rather, I had red spots from the TCA applicator was used and small black/blue dots where the NOKOR needle had been inserted. A few days later, I developed an orange/yellow hue due to the bruising. That only last several more days and was only really noticeable under bright lights. You will want to take pictures of your face before and after the procedure as the improvement is incremental. The first week my skin looked GREAT. The second week the micro-swelling had subsided and the scars began to reappear. 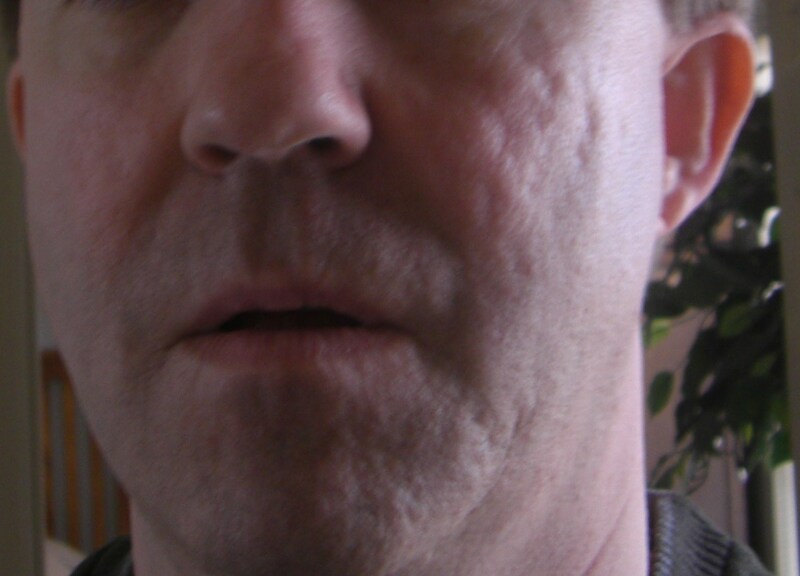 However, during weeks three and four, the scars on my left cheek that been treated by subcision began to fill in. There are three boxcar scars that were not treated that are still evident. However, the other scars are hard to detect on my left cheek. I think the photo that I posted shows the before and after of my left cheek and the improvement I got. I'm hoping that my next round of subcision in three weeks will help even more. Don't aim for perfection; aim for incremental improvement. Keep us all posted. We're all in this together. going to see the doc on thursday morning and ask him the questions you recommended. Will let you know if/when I decided to do it. Have you ever talked about punch grafting for scarring? What about Fraxel? Just wondering. ALso what percentage was the TCA Cross? Did he do the TCA Cross on areas where you had subcision? Was it on your whole face? No, I did not discuss punch grafting for my scarring. Amazingly enough, even the boxcar scars on my left cheek appear to be filling in and are barely noticeable right now. I'm curious what my doctor is going to say. He used 65% percent TCA on a wooden applicator when he did the TCA Cross Method. It kind of stung, but wasn't that bad. He did the Cross Method on a scar on my nose and several on my chin area. He may have done others, but I don't remember now. I won't do Fraxel as I have not been impressed with what I've read from other readers on this website. My dermatologist feels that the Pearl Laser is much more effective in bringing about collagen remodeling than the Fraxel. I do have two subcision treatments scheduled in the next ten weeks and will undergo the Pearl Laser treatment either in July or December. I understand that it takes about five to ten days to fully recover from this laser treatment, so I'm waiting to take vacation time when I can have time to recover. Let us know what course of treatment your doctor recommends and remember to take before and after photos. Your results are impressive Matt! I hope your next couple sessions work even better for ya. Thanks for the fast replies Matt. I appreciate it. As I am 23 and still a bit acne prone this will be purely a consult. I have a better idea of what I can ask him now. 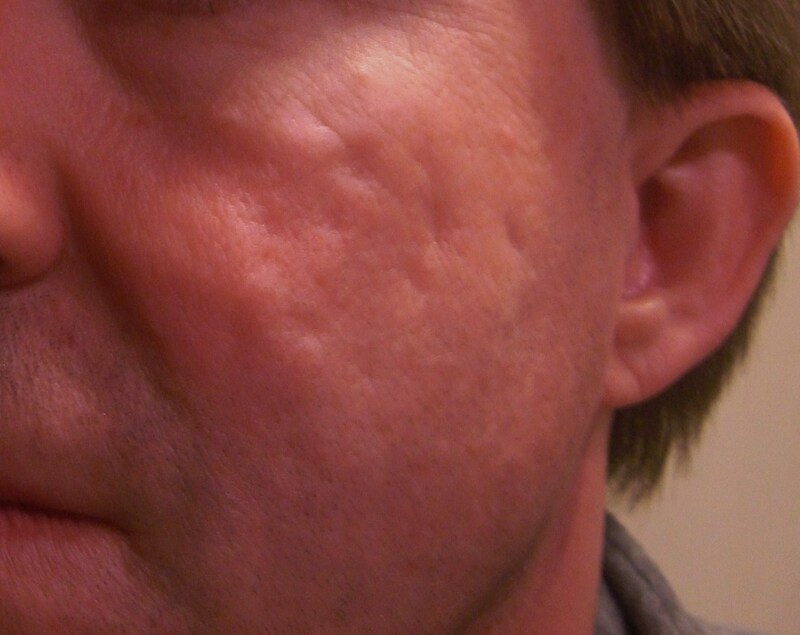 As my scars are particularly deeper and I have depressed and icepicks only really on my right cheek I have come to the conclusion that I need surgical procedures such as subcision or punch grafting done on my right cheek. I think the best treatment for myself will likely be subcision followed by a TCA cross in the future after it heals or microdermabrasion or some form of laser to even it all out...or just a deep chemical peel. My left cheek oddly is great. I have pretty much no indents there and my skin is pretty resilient to acne scarring. My right cheek it seems is weaker towards it and I have 1 particular depressed scar about a CM in length that is fairly deep and is the mains car I want to get fixed, then I have 1 that is a little smaller and 3 smaller than those that I would like to get fixed. I think subcision followed by something to smooth out the overall appearance of my skin would be effective. Or a punch graft. I see that you did TCA cross only on select areas.... at first I was under the impression that you did it to your whole face after or before subcision which is why I was confused because TCA cross seems like something pretty powerful and it wouldn't make much sense to do it on an area you are having a surgical procedure on the same day. BTW did you go under local anesthesia? How does that work? Were you awake? As results in the first week are usually amplified and 2nd week look worse. You find your results to be optimal the 4th week? I will likely take off a week from work when I decide to finally do this. I think that you're really wise to have your procedure done while you are young and you are fortunate that you scarring is limited to only one side of your face. If you have icepick scars, TCA Cross Method is definitely something you should discuss with your doctor. My dermatologist did inject the areas surrounding my scars with anesthesia and I was awake and talked with my doctor throughout the procedure. The shots themselves were more painful than either the Cross or subcision procedures. The first week my skin did look perfect. By week two, the swelling had subsided and the scars began to re-appear. I knew to expect this based upon photos I had seen on the internet and from others' comments. Between weeks three and four, my scars began to fill in from underneath. I could feel a "tingling" sensation which I believe was the collagen remodeling. In fact, I still feel it from time to time. I just got an LED unit last Saturday and have been using it everyday for five to ten minutes. I hope that this will help promote collagen remodeling in my right cheek. Only time will tell. really great results, your story has convinced me to perform subcision on my scars. some of my scars are a little bit deeper than yours, do you think there's a limit in treating deep acne scars with subcision? can be acne scars too deep to treat with subcision? i'm 18 and i'm still on accutane. how long i have to wait till i can go to a dermatologist or an surgeon who performs subcision? if i chose laser treatment i would wait 6 months after accutane. the same at subcision? I just thought I'd let you know how my consult went. The doctor and the nurse didn't think subcision would be the best idea for me even for the couple of deeper ones on my right cheek. From everything I read in my research I thought those would be the best two options. For now they said for me to continue use of tazorac until acne is completely clear and everything and they also said that tazorac can remodel skin with 12-24 months of use. I agree that I should stay on Tazorac until all redness and acne are completely gone and perhaps it can even improve scarring. The doc and the nurse seemed to think that subcision would leave behind a worse scar than the ones I currently had. I know the subcision leaves something behind, but do you agree with this assessment? He described my scars on my right cheek as rolling scars. He performs a laser surgery at his place but he said my skin was too young for that type of laser...but he recommended a doctor with Fraxel and said it would probably take me 5 or 6 treatsments to get where I want to be. I asked him about subcising the scars first but he didn't think it was necessary. I don't really know what to think or do. I agree that for now I'll stay on my current regiment but am not sure what my next step would be. The nurse seemed to think that a series of facial peels would probably help me significantly. Hey, I'm glad to hear that you were inspired by my story. I know that I have been greatly encouraged and inspired by some of the other posts and pictures of other readers. Six treatments with subcision is the maximum number of times that I have heard that most doctors will do on rolling scars. However, I am sure that depends upon each individual and his/her unique scars. As far as acne scars being too deep to treat with subcision, I honestly don't know. But, you should keep in mind that it's the fibrous bands that hold down the epidermis to the underlying tissue. So, if these are cut, then the epidermis is free to be released from the "tethers" that are holding it down and the skin can raise itself with the collagen production that is induced by the procedure. The scars on my right cheek are very deep. However, I have noticed that they have flattened out since my initial treatment with subcision. You will need to wait for approximately six months after you've completed Accutane before anything can and/or should be done surgically to your skin due to the increased risk of scarring. However, I think that it is important to talk to your doctor now about what type of scars you have. If you have rolling scars, then subcision may be a good option for you and I would go ahead and get the appointment(s) scheduled for the procedure. It took me three months after my initial consult with my doctor to get it scheduled due to his busy schedule. You would be wise to go ahead and get at least two sessions scheduled now. One in about seven months after you've finished Accutane and one two months after that. You skin will need some downtime after the first procedure in order for the collagen to remodel. I have two more rounds scheduled. One in May and one in July. If you do have rolling scars, I would suggest a round of subcision followed by laser and another round of subcision followed by laser. I'm going to have a Pearl Laser treatment either in July to replace the subcision treatment I have scheduled or I'll have it done in December. I've been told it takes seven to ten days to recover from this type of laser treatment. Keep us all posted on your progress.